Heat dutch oven to 375 degrees on coals for Frying. Add all ingredients except corn meal. Reduce heat to 225 degrees and Simmer for 30 minutes, stirring occasionally. 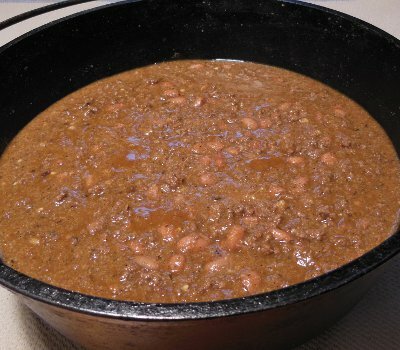 Let me know how you enjoyed your Cornmeal Chili!